An animal friend can be the truest friend of all and losing an animal friend is a difficult event. 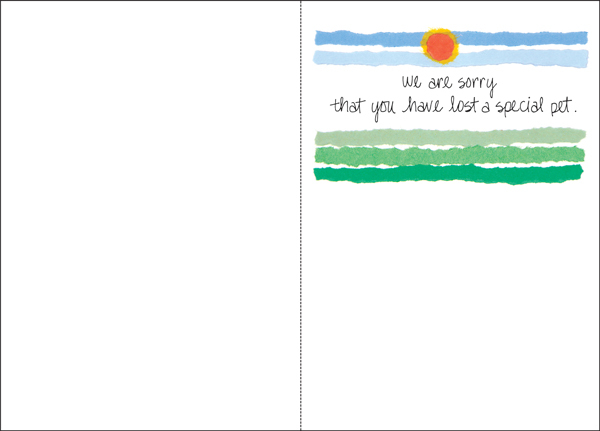 Show your support with a caring sympathy card. These charming cards are a great way to to show your passion for animals. Whether you're a veterinarian, a groomer or another pet care professional, you will stand out as a person with heart. 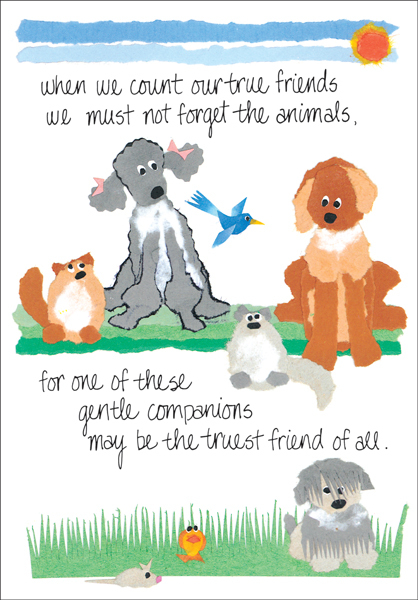 Show your clients the care and personal touch they deserve with pet sympathy cards from it takes two. Order today! Front: when we count our true friends we must not forget the animals, for one of these gentle companions may be the truest friend of all. Inside: we are sorry that you have lost a special pet.